With the takeover of Olympic Air completed (See BTN 14 October) Aegean Airways is now pushing ahead with ambitious targets for 2014. With the biennial Dubai Airshow looming up (Sunday, 17 – Thursday, 21 November) the aircraft industry rumour mill is bursting at the seems with Emirates thought to be in advanced talks with Boeing to buy up to 100 long haul aircraft, including the still to be officially announced 777X. 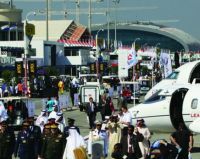 Dubai could be the launch pad for the aircraft. Indonesia’s majority state-owned airline Garuda will now make its much heralded return to the UK on 29 May 2014. 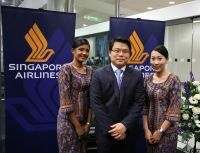 The airline will operate non-stop from Gatwick to Jakarta three times per week (five from September) with a three-class Boeing 777-300ER. 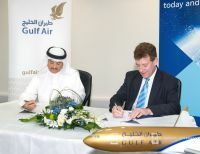 Following last week’s official first passenger flight into Al Maktoum International at Dubai World Central (DWC), Gulf Air has signed a Memorandum of Understanding (MOU) to become the first full-service network carrier to operate into the new airport. 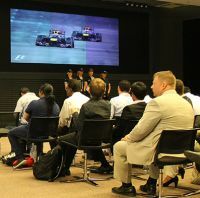 Motor sport fans actually flying on Etihad Airways yesterday as the Abu Dhabi Formula 1 Grand Prix took place would have been able to see the event live. Qatar Airways officially joined oneworld last week in a typically flamboyant ceremony at Doha. It is the 13th member (plus 23 affiliates) of the world-wide alliance. Now well established in London’s Excel, World Travel Market (WTM) opens today. It runs until Thursday. WTM will showcase more than 180 countries and regions through its more than 5,000 exhibitors. Attendance this year is expected to top a record 50,000. Air France-KLM has written off the value of its stake in Alitalia, casting doubt over its willingness to invest further in the struggling carrier as a weak economy chips away at its own debt reduction plans. 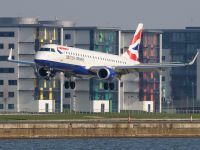 British Airways has introduced its winter schedule from London City Airport this week with more capacity and frequency to some of the most popular seasonal destinations. Madrid and Stockholm go to three per weekdaily. 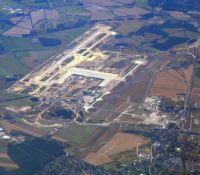 Brandenburg International, Berlin's long-delayed new airport, still without an opening date, will cost more than expected, a member of its supervisory board has said. Noise insulation and the large terminal building were driving costs beyond the expected €4.3bn, Bretschneider told German broadcaster ZDF, and additional levies were payable for every month the airport remains closed. One of the best known hotels in Dublin, The Burlington, is to become DoubleTree by Hilton Dublin – Burlington Road. A phased programme of investment is underway to renovate the hotel, expected to complete by spring 2014. Classic Air Force’s (CAF) unique collection of Cold War jets is expected to figure strongly in a programme to be shown on BBC2 on Friday 8 November. Going out at 21:00, Hot Jets is the first of two episodes focusing on the Cold War period, and the aircraft that formed the defences of both sides throughout a knife-edge period of world history. 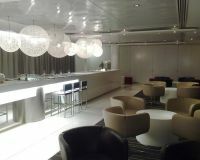 The lounges war is warming up and business travellers are the beneficiaries. Qantas has announced details of new exclusive areas in Hong Kong (HKG) and Los Angeles (LAX) ahead of their official openings in 2014. 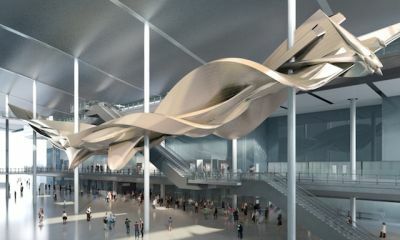 Sometime in the middle of November the structural contractors for Heathrow’s impressive new Queen’s Terminal will hand the building over to Heathrow Airport Ltd for the 69 sales outlets to get busy. Six months of testing will take place with up to 14,000 volunteers to simulate passengers as the opening date nears. The building really is a glass palace, light and airy, with huge translucent panels across the roof. Even on the sunniest day there will be no glare. In a move that could easily backfire Airbus has proposed an 18-inch seat width as the standard for future long haul Economy air travel. Virgin Atlantic, one of the best Economy products, operates the A330 with 17.5” seats in Y class, the same as British Airways offer with the Boeing 777. Just a year after it launched as a fully independent airline, bmi Regional is to axe five routes and pull out of three UK bases. It said that it was closing its units in Birmingham, Edinburgh and Manchester, following a "comprehensive review" of operations. The Aberdeen to Manchester route will continue but will be crewed from the Scottish city which in fact gives better morning connections. Representatives of Lufthansa Technik and Lufthansa Technical Training have officially handed over a Vickers Viscount V814 to the Museum of Technology in Speyer in Southwest Germany. Lufthansa operated the aircraft on scheduled routes from 1962 to 1969, and in 1972 converted it into a technical training aircraft. To date, more than 2,000 young people in the Lufthansa Group have undergone basic training on this Vickers Viscount as an aircraft mechanic or electrician. 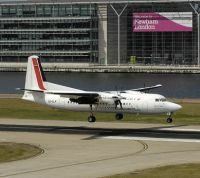 The reason for the delayed sale of Luton Airport seems to be unravelling. The US Federal Aviation Administration (FAA) has gone ahead with the approval of the use of gadgets such as tablet computers and e-readers during take-off and landing. Many airlines are expected to adopt the new guidelines by the end of the year and Jet Blue has already given the go-ahead. 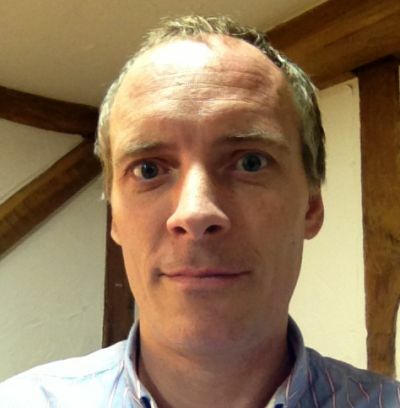 Passengers on American Airlines, Delta, United and US Airways flying out of the UK will benefit. (BTN 7 October). 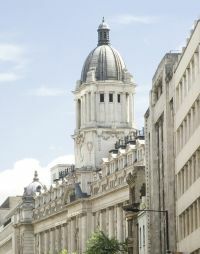 Once the headquarters of Pearl Assurance, and previously trading under various names, the Rosewood London (hotel) has opened on High Holborn. Terminal 3 Heathrow was the site of a party to celebrate the launch of Singapore Airlines new cabin products. Guests explored the airlines brand new Boeing 777-300ER to test and toast the innovative features and extra comfort available across all classes, including the world’s most advanced in-flight entertainment system.